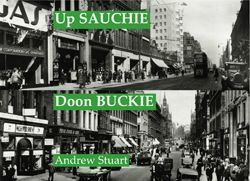 This is a new revised edition of the late Andrew Stuarts classic Glasgow city centre book about the citys three most famous streets. The sequence of images in the book takes the form of a route starting with the damage inflicted on Charing Cross by the M8 motorway then going along Sauchiehall Street, down Buchanan Street and along the length of Argyle Street as far as the Trongate and the bottom of High Street. All these are accompanied by the authors text which he honed with anecdotes tried and tested in his many talks around Glasgow. The text has been revised to take account of changes that have taken place since the book was originally published in the early 1990s.